Sometimes sales reps neglect their leads. We stop doing the things we know we need to do because we assume things will continue working the way we expect them to. 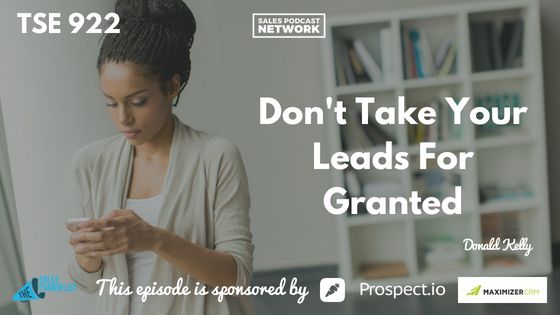 Don’t take your leads for granted. 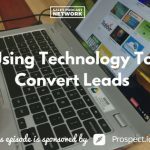 On today’s episode of The Sales Evangelist, we’ll talk about the things that sales professionals sometimes neglect and why it’s so important that you don’t take your leads for granted. This isn’t simply a sales problem; it’s a human problem. We do it with our families, with our homes, and even with the water that is always there when we turn on our faucets. It isn’t until those things go away that we appreciate their value. Some of us work for companies that generate leads for us and some of us don’t. Those of us who don’t often get them tend to value those precious leads because they aren’t frequent. It’s not unusual, however, for those of us who consistently get leads to expect them. Even worse, we allow ourselves to focus on the “unicorn” leads so that we aren’t interested in the others. We want those rare leads that have a challenge, that have money, and that are ready to buy right now. When we get leads that aren’t as perfect as the “unicorns” we might push them away to focus on the better leads. Maybe we hurry through the conversation and invest less of ourselves in their needs. Sales reps who can’t depend on getting leads have to approach their leads differently. They aren’t sure when the next one will come, so they have to do their very best every time. These sales reps ask appropriate questions and seek to gain a deeper understanding of the prospect’s needs. They invest time in solving the buyer’s problem. They seek to treat them as individuals. The first sales rep discounts the lead because he expects others will come after it. The second sales rep invests time in nurturing the lead and listens to the prospect. Make sure you provide all your leads with the same attention and effort. See them as people trying to solve problems for their organizations, and keep in mind, too, that they have personal goals as well. Your lead might be trying to get a promotion, or she might need someone to educate her about the buying process. Your lead called you above everyone else. Find out why your lead called your company. 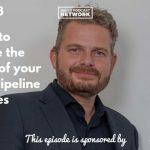 Not only will that be good information for your marketing department to have; it will give you important insight into the prospect and help you connect with her. You have to work at relationships, and leads are relationships. If you work hard even on the leads that don’t seem like “good leads,” you’ll do what Wayne Dyer said and you’ll change the way you see those leads. The same is also true for your team members. If you’ll change the way you view your underperforming team members and try to understand the challenges they are facing and truly try to see them as individuals, you’ll be better able to help them. Don’t take your leads for granted, and don’t take your team members for granted.